Those trained ears may have left the newsroom – but are they the only ears open to the whispers of local corruption? The problem for existing traditional newspapers is that it is not part of their business model to innovate ways for local people to engage directly with the democratic process. The newspaper model is one of a journalist doing the work – being the eyes and ears of the local community. But the online model is one of seeking out direct democratic action. Of having direct access to information, rather than waiting for someone else to report on it. To report on it yourself (not simply to have an opinion, but to fact-find, and fact-check). Other (and often better) ways to access information within local communities, including news and issues of local democracy, already exist. It was not a local newspaper that developed www.theyworkforyou.com, which, with its team of volunteers and email alerts, is perhaps the best way to keep track on what your local MP is saying and doing. And every day innovators are opening up access to information – just last week, MySociety launched ScenicOrNot, which took a crowd-sourced image project and put it to local democratic use. One impact of the closure of local newspapers could be to open up the space (and revenue opportunities) for media organisations based, from the outset, on community engagement and crowd-sourced gathering / production / distribution. Where the local community are active participants in, rather than passive receivers of, the local information that matters to them. Does that explodes the idea that a patch has no ears if it has no ‘newspaper’ journalist? People are on that patch. Innovative, passionate and entrepreneurial, and nosy. The people for whom that information matters – a geographical community who wants to hold local powers to account over planning decisions, education provision, bins and holes in roads. Some of them will be journalists. The future of local journalism is so pressing that it’s persuaded Roy Greenslade to go back to basics and cover his neighbourhood – Kemp Town in Brighton – for the local paper, as a community reporter. Most of his fellow community reporters won’t be trained journalists. But all of a sudden they are all in the same category: the people who want access to the information and who are willing to work for it. In this, and many other cases, such as the award-winning Teesside postcode hyper-local sites, the community reporters are producing local – quality – journalism. What is important is that it offers a structure to innovate and create community. Although, very little of what the community contributors produce actually gets printed on paper itself. This new-newspaper activity must be supported. One of the worst impacts of the closure of local newspapers would be the end to this support of hyper-local communities, the empowering of engaged citizens with tools, in local democratic action. It would be a blow to the work done in encouraging journalists to see news as a conversation with readers, rather than as a one-way flow. Where this work is developing, local newspapers should be given as much support as possible to survive. That’s because journalism is crucial to local communities. It needs saving. Whether in the form of large organised publishing groups is up for debate. Local newspapers hold a privileged position. As the guardians of democracy and access to local information, but also as established competition to potential new initiatives, new ways of approaching democracy in local communities. 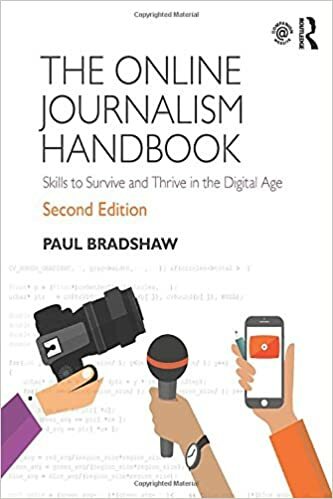 If their demise is to be seen as a disaster, it will be because they found ways to make sense of journalism as a participatory process, engaging with and opening up access to information, and not a static product. What are your thoughts on the future of local journalism? I was linked to this via Twitter and so I am missing a bit of the context, but I thought I would at least break the ice and leave you a comment. 1. corporate control — consolidation and public trading of stack — led to a more concentrated and widespread strategy of increasing profits as a way to boost stock price. Neither had much to do with journalism. 2. lack of innovation — Web was latest in a series of media innovations that affected newspapers that newspapers failed to adopt or adapt to. Several reasons: Newspapers haven’t tended to be innovative so didn’t know what to do; #1 affected strategies to spend some money, dive in and see what might work; gross underestimation of power of Web; newer journalists were not given voice to do things differently. 3. self-assurance — a belief that all would be OK.
All three conspired to have journalists and journalist companies step away from a fundamental mantra — build readership, expand market, get better. Face it, journalists always want a bigger audience; and journal owners always wanted a bigger market. Check that last one, journal owners have wanted bigger profits. And the best strategy they adopted for the latter? Cut costs. i.e., cut staff, cut space, cut size of page, cut distribution, raise advertising rates (cut advertising). So, if you are losing readers, the strategy became…. Let’s give them less. So, that’s my take on the demise. The value though has been and will be that the material was vetted, edited and stamped with some semblance of credibility. Sadly, newspapers did not work like the devil to protect this franchise. The “new” journalism as you describe here is not really journalism but, in some cases, noble aggregation of useful information. And you are right, much of this data could have been assembled, should be assembled by newspapers. If you are covering the Congress or Parliament or local governments, why not amass publicly-accessible information about ALL of the members of that government. But I still would argue that great efforts should be made to assist newspapers (because they are, face it, the number one source of the news information being produced around the world) to ensure that the best that they do continues to happen. You will NOT see credible, investigative stories done by hyperlocal Web operations. Why? Don’t have the staff or training or editing. They are not equipped to deal with some of the legal issues that would emerge. They are not at all equipped to do the kind of dogged, time-consuming work needed to get “facts” not rumors. So I understand your sentiment that we should acknowledge the work of local information Web sites, but I do not in any way think these will take the place of newspapers and we all should be concerned about that. If we, in the states, are willing to try to save GM, why in the world would we not throw a few nickels to save newspapers AND, in the process perhaps, require them to change their structure, strategic model and mission? Really glad that’s a part of this – I know people want to think they can save print, but the important thing is to figure out how to provide news across all the platforms that people want it in. Secondly, I agree it isn’t (wasn’t?) part of newspapers’ biz model to find ways to “engage their community directly with the democratic process”, even if, as journalists/editors that was what we wanted to happen as a result of reporting. The split between ‘want to’ and ‘can afford to’ in local newspapers has been widening for a lot of years. I also agree that part of the future of local journalism and local democracy relies on that community becoming more actively involved in reporting on itself and its own concerns than they have been in possibly hundreds of years. We’re helping them to do that through sweeble – and to do it in print. Three weeks after a shoestring launch, we’ve already got over 150 tiny local groups and clubs busily creating their own ‘newspapers’, which I think is a sign that there’s more of an appetite out there than any of us could have imagined for communities to report on themselves. Business models that support that in the future will probably need to be hybrids of print and web and social media and anything else that makes sense for that community and the journalists working with them. @Geoffrey Thanks for your response, and you’re absolutely right about each of those three reasons. For me, issues of ownership and control are vital to your question: “why in the world would we not throw a few nickels to save newspapers?” One of our big publishers, Trinity Mirror, in 2008 paid £48.4m in dividends to its shareholders. There are a few nickels to save journalism that wouldn’t have to come from the public purse. I agree that journalism needs saving, but my local paper is a good example of what shouldn’t survive – poor quality, lazy reporting. If one of the functions of a local newspaper is to publish ‘hard’ stories, then ours has failed. There’s something of the fashionista here. 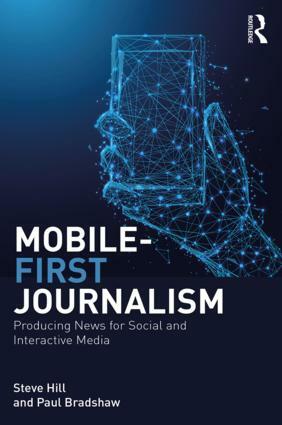 The internet didn’t create participatory journalism – reporting has always relied on conversation, tip offs and a two-way flow of information. Really good local journalism reflects and is part of its community. It’s how you get the best stories. The internet has enabled new tools for journalism that can also be used by a wider group of people than in the past and you’re right to highlight TheyWorkForYou and the other MySociety projects, but what those tools don’t give is context, and they don’t give the public at large the time required to analyse that information. Journalism is as much about time as anything else. It’s also misleading to suggest that simply because anyone can publish that is neccesarily democratic. Anyone can edit Wikipedia but they can introduce fiction as well as facts. How democratic a decision is a vote cast based on lies? Blogs can be well-sourced, checked and accurate but they don’t have to be – anonymous hosting is easy and there is no pot of money for a libel lawyer to extract or an identifiable individual to be hauled in front of a judge for contempt. Newspapers give you an audit trail and that visibility bestows legitimacy and trust – compare that to the Red Flag. Democratic accountabilty also requires scale. The established media has a visibility that a network of blogs – however good – will struggle to match, and without which they can never have much impact on local democracy. It’s a common misperception of web advocates that everyone loves trawling Twitter as much as they do – in reality social media lags far behind TV, radio and newspapers and will do for some time. Most people don’t get home from work and rush to read their local authority’s committee papers online. They don’t have the time or, when thing’s are going well, the inclination. That’s why we need to support local journalism and why as worthy as many of recent web developments have been, local newspapers are still the best way of doing that. The Solicitors in Yorkshire portal will help you understand the legal procedures that will follow and how you can protect your rights if you have been arrested in the United Kingdom.